Creating The Purple Door District took a community of amazing and talented people. Artists, proofreaders, editors, writers, and so on were all part of the PDD Team. Below is information about each person who had substantial influence in the book’s creation. AE Kellar works as a professional wingman by day, while by night pretends to write by hiding behind a laptop and listening to a well-crafted, shuffled playlist. With a penchant for dark humor and plenty of snark, AE writes urban fantasy with a smattering of sci-fi and Paranormal thrown in for spice. 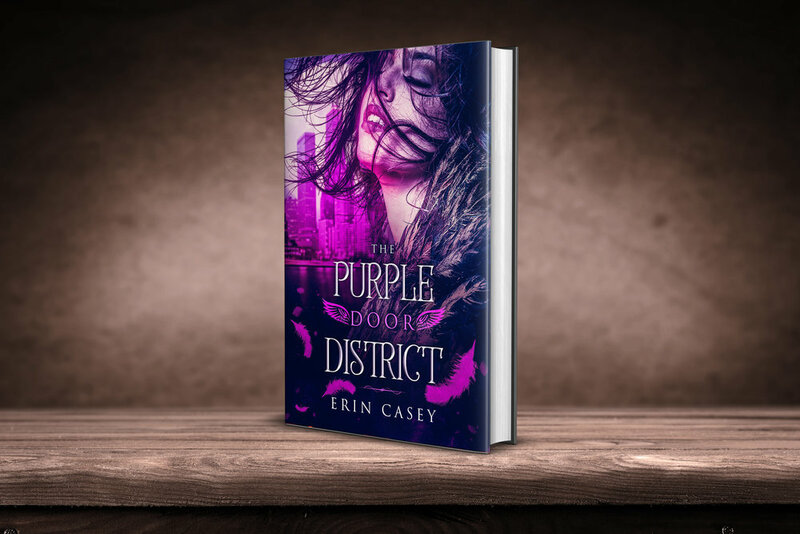 Serving as the creative consultant on Erin Casey’s The Purple Door District, AE is also co-creator and co-author of Fates and Furies, an as-yet unpublished fantastical urban fantasy series upon which The Purple Door District is based. In addition to the world of Fates and Furies, AE has written a sci-fi short story called Remember Nevada, with hopes to publish before Mars is colonized. Leona Bushman: Author and editor, Leona Bushman spent many months reviewing The Purple Door District. She’s a dedicated and compassionate editor well worth the price. Check out her books here and her editing services here. Shakyra Dunn: Author and proofreader, Shakyra preformed both a sensitivity read and proofreading review on The Purple Door District. She also was one of my biggest supporters. Check out her work here. Alexandra Penn: Author and editor, Alexandra helped edit the early stages of The Purple Door District. She also was a wonderful mentor in the ways of marketing. Check out her editing services and her serial The Letter Mage here. 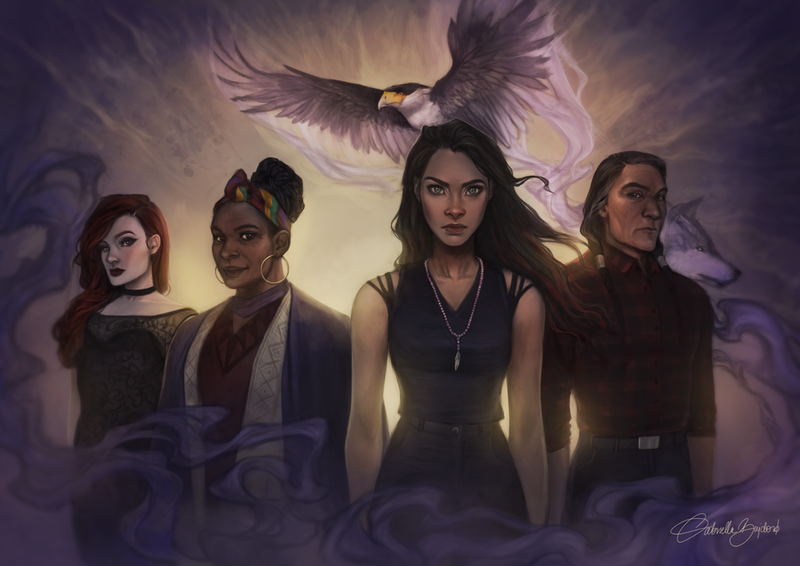 Gabriella Bujdoso: Gabriella created the main character art portrait for The Purple Door District (seen above and here). Her skills are incredible, and her cost is very reasonable for her incredible skill. Check out her art here. Oni Algarra: Oni is an artist on deviantart who designs amazing character portraits. They designed the initial character portraits of my characters which turned into stickers! Check out their work here. Les: This artist on Fiverr was the mastermind behind The Purple Door District cover. She was patient and incredibly supportive while designing the cover, ensuring that all the elements I requested were present. You can find her here. Sara Cunningham: Sara is an incredible PA marketer who provided postcards, stickers, and sand jars to help promote The Purple Door District (see left). Check out her services here. Amanda Bouma: Amanda is a talented jeweler who creates earrings and necklaces. She graciously helped me create Bianca’s necklace which is getting sold alongside the book. You can find her work here. Beadology: Beadology in Iowa City is a lovely bead/jewelry store that provided support in creating Bianca’s necklace. Brian K Morris: A fellow author who provided gracious support while I was marketing The Purple Door District. He guided me in creating the indiegogo campaign. He also is the creator of Rising Tide and has the view that the only way we can rise above is if we help each other. Indiegogo: To every single person who donated and contributed to The Purple Door District on Indiegogo. You made the books happen. Thank you!